Saturday, Nov. 17, 2018, 9 a.m. – 12 p.m.
SPACE 101.1 FM is located in Magnuson Park, at 7400 Sand Point Way NE, North wing. SPACE 101.1 is in Building 138, the old gatehouse that straddles the 74th Street entrance. 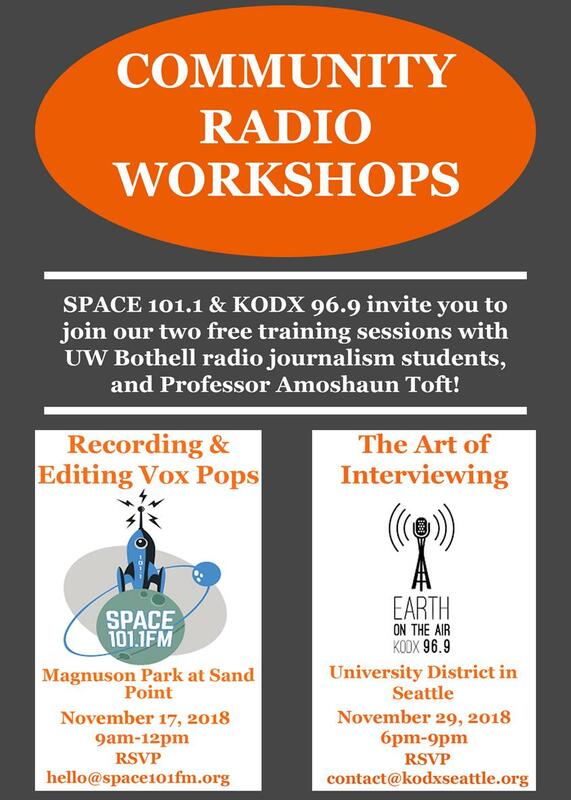 Students in BISMCS343D Community Radio Journalism and IAS Faculty Amoshaun Toft are excited to facilitate a workshop at SPACE 101.1 FM KMPG-LP at Magnuson Park, on Saturday Nov 17th from 9am-12pm, where participants will learn how to record and edit a Vox Pop.